I arrive in Berlin after a long, pleasant train ride. I like to feel and contemplate the land I’m crossing, the actual distance, something that the haste of flying doesn’t allow for. Ahead of the festival, I stay in Friedrichshain for a few days at my friend, musician and sound healer Colin Tobelem’s place (aka Ground Tactics. See recent release on Midgar). Always intense, our conversations revolve around the need to defeat binary oppositions, possible new uses of the world, necessary changes of perspective, and attempts and strategies to create forms of music that can heal ourselves and others. Colin’s preparatory incantations help us gather the right energies to face five days of barely interrupted input such as AV performances, concerts, DJ sets, close-to-constant socializing and, of course, insane partying. We meet up with our friend Iulia, discovering the joys of German pinot noir (Spätburgunder) and talking about Berlin’s exponential and unstoppable gentrification process. I can’t help noticing the progressive Disneyfication of the city each time I come (should I say Googleification?). In notebook #006, I find the note: “holding up to whatever is unavoidably going away is depriving ourselves of many great experiences”. Ditto, I’ll try and adopt this philosophy during the festival and focus on the present moment. As soon as the temptation of looking back surfaces I’ll use my favorite weapons: lightheartedness, irony, and curiosity. 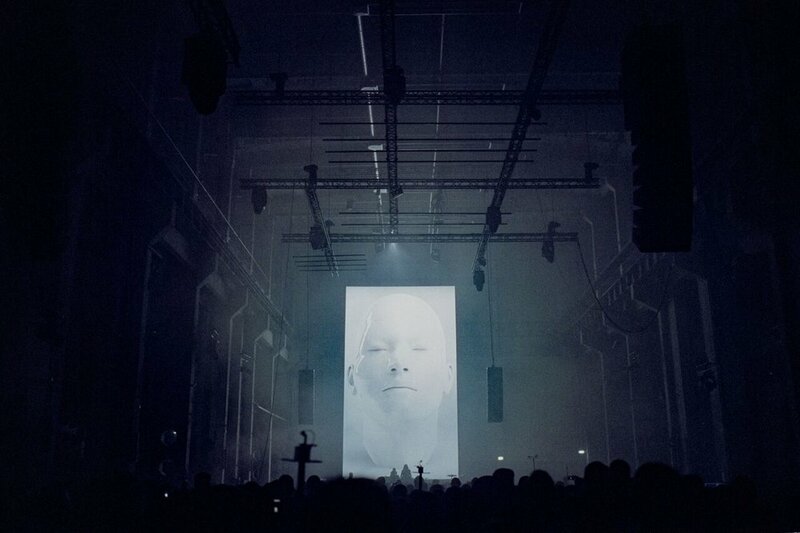 Generally speaking, the shows curated by Atonal belong to the postmodern tradition that aims to immerse the listener-viewer in a larger than life, vertigo-inducing environment that covers the whole human ear spectrum and beyond. 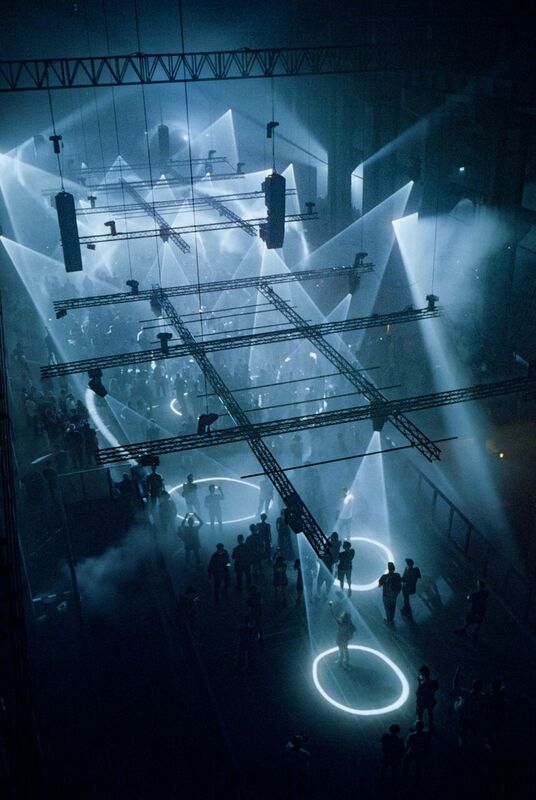 Impressive sub-woofer-loaded line array systems drown you in an ocean of sound while your vision is stimulated to the max with the help of giant, flickering screens, stroboscopic lights, lasers and smoke. Despite the visual stimuli, the sound is always prominent in such a paradigm (even in a wide range of the so called “postmodern cinema” context). A sense of immersion is therefore more than justified. 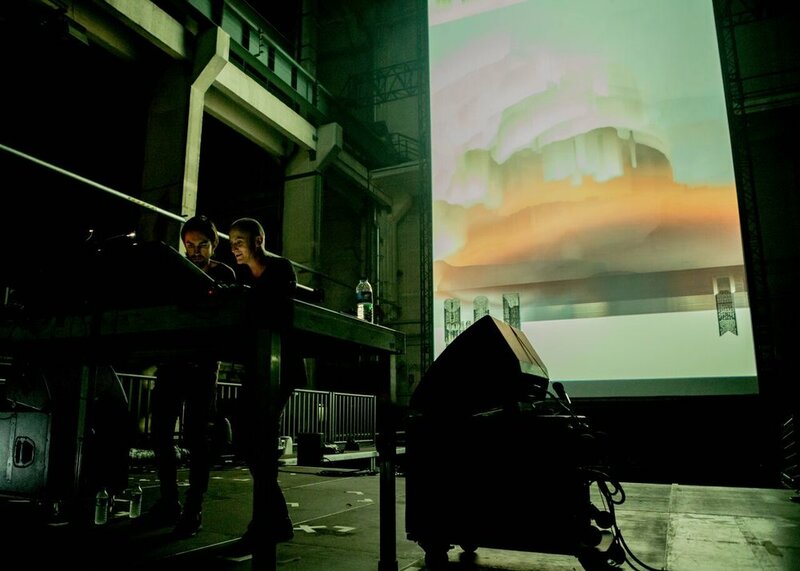 Of course, vertigo isn’t automatic, it’s actually part of the joy of such a festival to oscillate between a purely intellectual, critical distance and pure sensory pleasures. At some choice moments - made sweeter by their rarity - there is a sensation of enchantment. We dive in with an enjoyable but not particularly notable opening concert by David Morley. 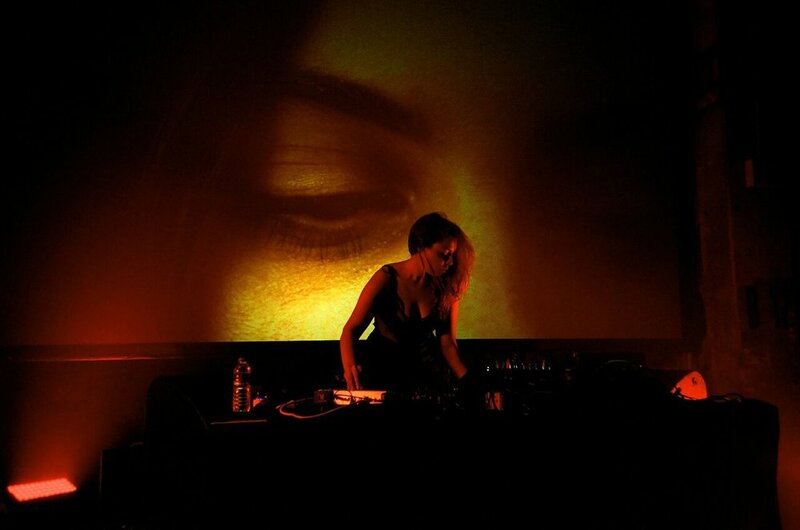 I quickly get absorbed into Astrid Sonne’s outstanding AV performance: “Ephemeral”. Ethereal and solemn. (check out LP “Human Line” on Danish label Escho). “Ephemeral” is somewhat complemented and certainly magnified by the following show, “Synclines" a haunted litany unveiled by RVNG’s newcomer Lucrecia Dalt. It’s inevitably reminiscent of Laurie Anderson’s conceptual narratives. Lucrecia’s journey punctuated by spoken words is nonetheless deep and refined. Add early Residents / Tuxedo Moon like analog rhythmics and psych synth waves to the mixture and you might get a vague idea how spellbinding it sounded. A collaborative effort between New Zealander Fis (whose recent release on Subtext “From Patterns to Details” explores tonal, neo-romantic realms dramaturgically blended with noise passages and abstract textures), and Berlin-based Iranian percussion virtuoso Mohammad Reza Martazavi provides an impressive performance. At one point I wonder about the necessity of Fis’ discrete interventions, but as the duo slowly builds their aural edifice I see the role that such sobriety plays. It all starts coming together during the second part, after the two musicians have achieved a tense dialogue and when both sonic streams start colliding into an arousing and ever-fluctuating rhythmic / arhythmic continuum. In a context where the quest for immediate reward leads us to adopt ridiculously short attention spans - and where even experimental and alternative scenes are subjected to such mutations - it feels good to be reminded how great and valuable lengthy, slow developments and patience are, when experienced to the fullest. Falling back into the “wow effect” category, Robin Fox’s music & laser show “Single Origin” has a few truly exciting parts, even though my attention drops a little at the end. Throughout the evening, I kept hearing people asking each other “have you seen the laser show?” Which could have pissed me off if it hadn’t been exactly that, a fine laser show. At Stage Null, Gabor Lázár doesn’t disappoint, while at Tresor, local DJ Resom provides an invigorating technopop mix followed by a live act by PTU. They do the job pretty well -given the difficulty of playing in the dark, smoky, crowded, rumbling pits of hell Tresor can turn into at times. I’m surrounded by millennials on synthetic drugs. I can’t help thinking that everything I see around me seems pretty distant. We’re all in the same ocean of sound, smoke, darkness and flashing lights, but each of us is alone. The DJs in their booth, the musicians, so small under those giant visuals, behind their monitors. Tonight, revolt, subversion and collective catharsis appear to me as things of the past. Anyway… staying aware of what the week can give me is what matters for now. Thursday around noon. My thoughts and my vision are both blurry and confused. I hear screams from a dream, still echoing in my mind. My right knee hurts, I remember hitting it on a concrete podium yesterday at stage Null. I find myself wishing to transform - nothing to do with my knee, I seek an instant inner transformation. It’s what I’m longing for today. As the day passes I’m slowly cheering up. I watch a Claude Chabrol movie (Merci pour le chocolat, 2000) - it always does the trick. The music provided by Kanding Ray and Sigha (for those who don’t know them yet his solo releases on Avian and Token are definitely worth a listen) as Neon Chambers make a great impression on me. The content - pretty much lacking in the visuals, let’s be honest - is definitely to be found in the strong evocative power unleashed by the music’s carefully built organic structures. At stage Null, I find Alessandro Adriani’s electrokrautish trance inducing performance and June’s dark, straightforward - yet groovy - offering particularly uplifting. Those were followed by equally interesting, mystifying soundscapes by Phantom Love and Bruta Non Calculant. As it often occurs when you don’t expect much, Thursday was the most beautiful evening. Friday. Tired. Chabrol again. Betty (1992). In Chabrol’s films, adultery, debauchery and even murder often appear as more valuable options than coping with hypocritical social conventions. The viewer finds himself empathizing with the murderer, the maverick, or here, the unfaithful wife. I can identify with Betty and understand her pathological behavior, though I wouldn’t betray Stéphane Audran (who in their right mind would betray Stéphane Audran?). Joining up with friends, we start the day at Downwards label’s anniversary party at Kuboraum, where Jim Ningus, Layne, Justin Anastasi and label boss Regis provide pretty sick DJ sets, mostly post-punk rarities (what a pleasure to hear Chrome’s Electric Chair again, and for once played by someone other than myself). Colin and his partying squadron have arrived. Charming people, and a beautiful evening in perspective. Back to Kraftwerk. I can feel the crowd’s palpable overexcitement. Yet, among the expectedly straight-in-your-face, brutal performances provided by the well named British Murder Boys and Regis, only Giant Swan’s fierce, high tension performance leaves a durable impression on me. No pretending here and no midi controllers triggering 20 minute sequences that sound exactly like the album. No need for robotic mannequins, immobile human models or giant glitchy visuals. Everything is transmitted straight from the Swan’s guts - through the electronic circuitry - to the membranes - out to our throbbing flesh and bones. Wild, unadulterated live action. Yeah! What follows is a long night of gin shots and excitants of all kinds. My aim is to last long enough to attend all the gigs. I make it but nothing really thrills me as much as the Giant Swans. They made my day. Saturday. I have different appointments planned, things to do… I’m running everywhere. Opening new doors, contemplating perspectives that keep on expanding, seemingly without end. It all feels like a metaphor for what life can offer, and the vertigo that’s induced by the realization that as soon as I choose a path from the myriad in front of me, another myriad unleashes. 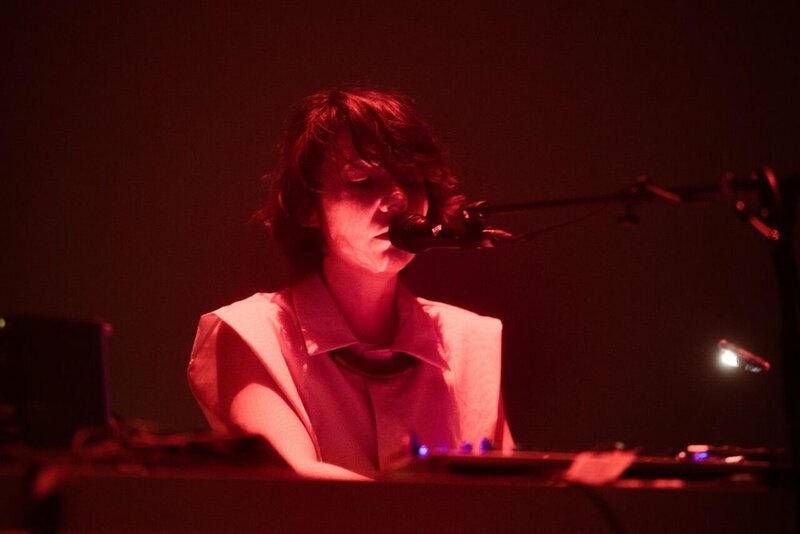 While Actress’ retro futurist silver mannequin doesn’t really make up for his muzak (ranging from gentle digital drones to slow piano tunes), Veronica Vasicka’s testosterone-filled techno gives me a little more to chew on as she fills up her explosive mix with post punk hymns such as Fad Gadget or New Order. While none of these are anything new, and several friends find the whole thing “macho” and too systematic, it gives me the right amount of even more typically post modern recognize and enjoy nostalgia and the kick I need not to drop dead from exhaustion. Yet after an hour, I head back to the hotel. Sunday. At the Main Stage, I find myself fairly disappointed by the pompously named “Transcendence Orchestra”, whose bland, repeated ad nauseam melodies don’t transcend much for me. I find the following act, the Japanese duo Group A’s power electronics quite elating and genuine, which usually makes up for the lack of renewal in the genre. The performance leaves power electronics aficionados with a radiant smile on their faces. In my opinion, the cream of the crop is by far the main stage’s closing performance: LABOUR’s “Next Time, Die Consciously”, a video collage and live electronics performance involving live drums players and electronic light wand bearers (the wands look like modern, led-flashing version of the thyrsus that were carried by the voltaries of Dionysus) strategically positioned all over the main room and on the surrounding balconies. 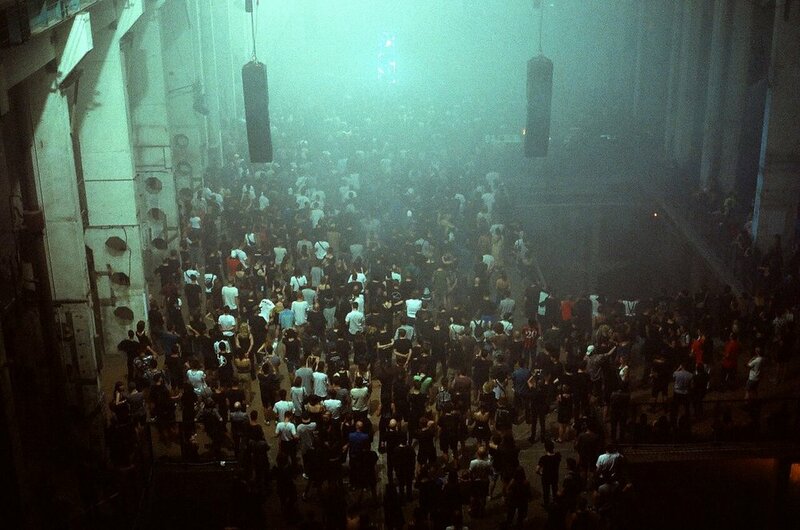 For sure LABOUR didn’t take their participation at Atonal as another gig on a busy roster. Musically it’s somewhere between electroacoustic music, noise, avant garde drumming composition, and a neopagan ritual. It feels like hard work; the whole thing has been carefully thought of, rehearsed, and everything falls right into place. LABOUR provides a solid, proper in situ work with a highly cathartic dimension. The whole thing works really well and leaves me with a feeling of satisfaction. I have the impression that most the people present felt the same. A rare and precious moment and a definitive festival highlight. No matter the technique, the wand, the drug, the dance. The essential subversive energies that a genuine form of musical art conveys seem as alive as can be. And I can still feel it in my guts. Rejuvenated. Again, a myriad of perspectives unleash. Vertigo, here we go.